Used Audi A8 Review - 2010-2017 | What Car? Buyers of large, executive luxury saloons usually think of the Mercedes-Benz S-Class and the BMW 7 Series when they’re considering what to purchase, but by overlooking the Audi A8 they’re missing a trick. The very first one, in 1994, made extensive use of aluminium, and weighed in at much less than its contemporary rivals. The next generation upped the tech in a bid to make it as good to drive as its rivals, while this third-generation model has the looks, spec and technology to sock ‘em all in the eye. It’s certainly good to drive, with a range of engines all offering plenty of punch and refinement, although most A8s will still be seen on the chauffeur circuit with diesel badges on their boot, either a 3.0-litre V6 or a 4.2-litre V8. There is also the whopping 6.3-litre W12 petrol to choose from, while those wanting sporting power along with luxury can opt for the lively S8, which comes with a 4.0-litre TFSI engine. Then there are either SE Executive, Sport or Black Edition trim levels and long or standard wheelbase models, while special trims are reserved for those opting for the W12 or S8 variants. Every version comes with quattro four-wheel drive as standard, and grip is excellent. If the steering and handling are good, too, they’re not of the sort of precision to entertain a keen driver, and the ride, while mostly comfortable, has an edge of firmness that means it can be easily caught out. Among the tech highlights, Audi followed BMW’s and Mercedes’ lead by offering a night vision camera with pedestrian recognition. Similarly, solar panels in the optional sunroof provide the power to circulate cool air even when the engine is switched off. These expensive gadgets emphasise the car's top-end status. 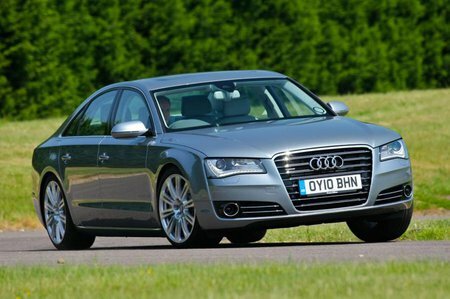 So the A8 is a quick, handsome, clever, refined and extremely well built alternative to the usual run of luxury saloons. 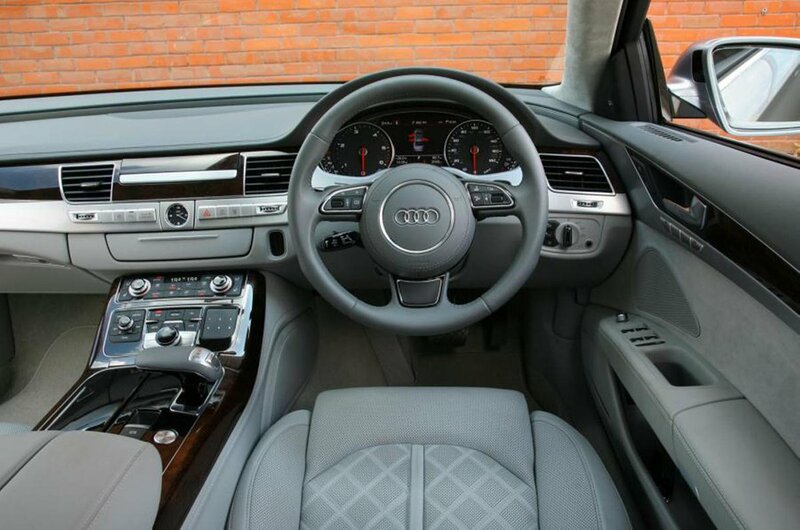 Its interior is a lovely place to spend time, and its quality imbues the car with a capable feel that adds a great deal of confidence when buying used.